Sign Design including sign layout, sign materials, sign posts and hangers, attachment methods, lighting and more. Engineer stamped sign drawings, if needed. The purpose of your sign – Is the sign for advertising, locating, directional/wafinding, informational, regulatory, etc. Your Sign Budget – how much do you have available to spend on this sign project. This part is very important because sign costs range greatly depending on the type of sign and materials chosen. Your Branding information or company branding requirements – Do you already have a website, truck lettering, brochures, etc. that you are trying to match for branding purposes? Is this a completely new concept and you are starting from scratch. Do you already have a designer who has created the sign concept? Are you a larger company that has a branding guide that needs to be adhered to? Your installation details – Where is the sign being installed, wall, ground, interior, exterior, etc.? Are you planning on using our installation services or are you planning on self installing? What type of material are you installing into such as brick, wood, EIFS, etc.? 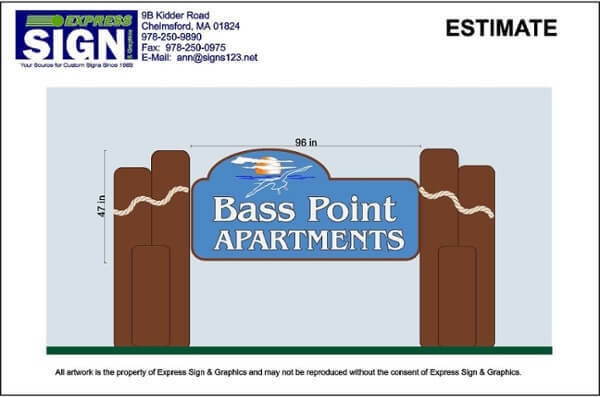 Permitting information – for exterior signs, it is important for us to do some research ahead of designing to see what your sign Bylaws allow for. 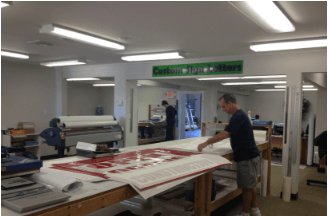 Your Timeframe – some signs take longer than others for fabrication. Your Need By date is very important for us to assist you in designing the right sign on the right materials to ensure timely delivery or installation. 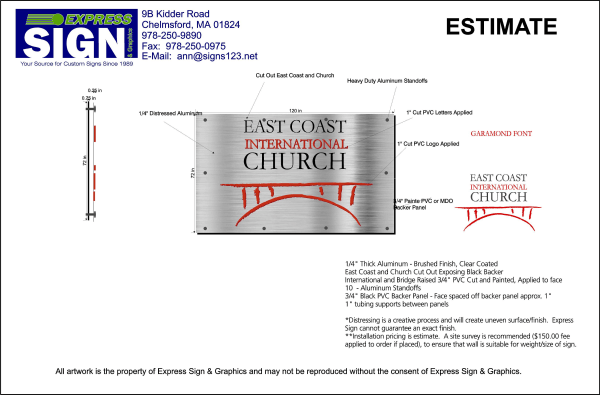 These are just a few of the details we ask about when beginning the design process with our clients on a custom sign. Your particular project exploratory information may require other details. Once we have gathered the needed information on your sign project, we can begin to make recommendations for your sign project that are in line with your sign budget and concept. Many of our sign design projects are free of charge. In some cases with projects for multiple signs, highly texted signs or custom wraps, there will be design fees involved. All of our installed sign projects will include detailed sign drawings, fabrication and installation specifications and quotes for you so that you have everything you need to make an informed decision on your sign purchase. We will happily work with you ever step of the way selecting the right materials and details to make your sign project a success.